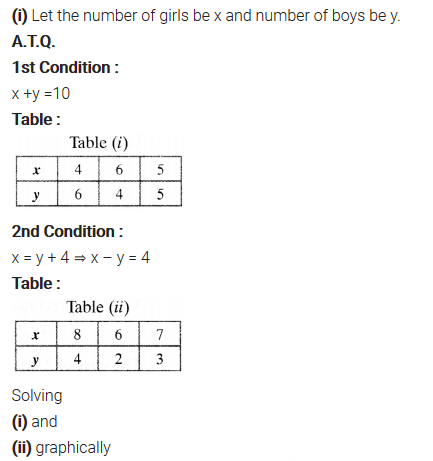 Get Free NCERT Solutions for Class 10 Maths Chapter 3 Ex 3.2 PDF. 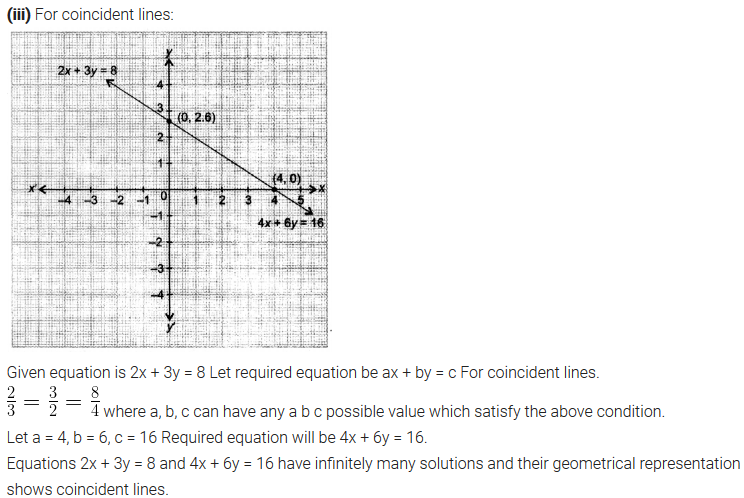 Pair of Linear Equations in Two Variables Class 10 Maths NCERT Solutions are extremely helpful while doing your homework. 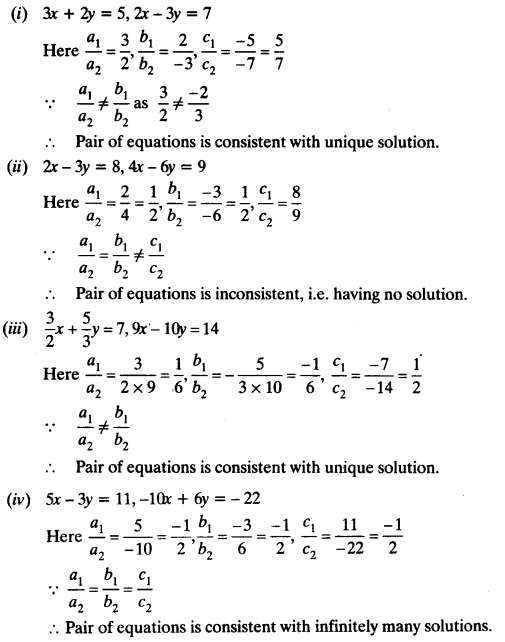 Exercise 3.2 Class 10 Maths NCERT Solutions were prepared by Experienced LearnCBSE.in Teachers. 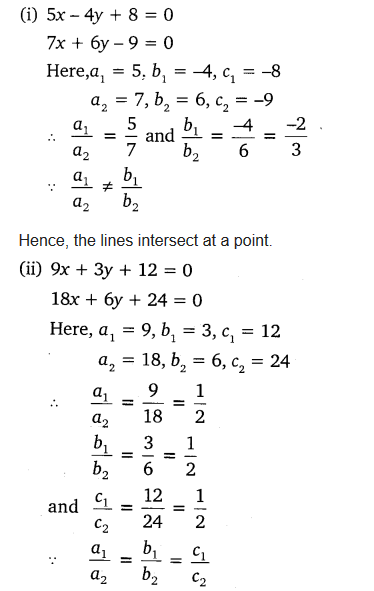 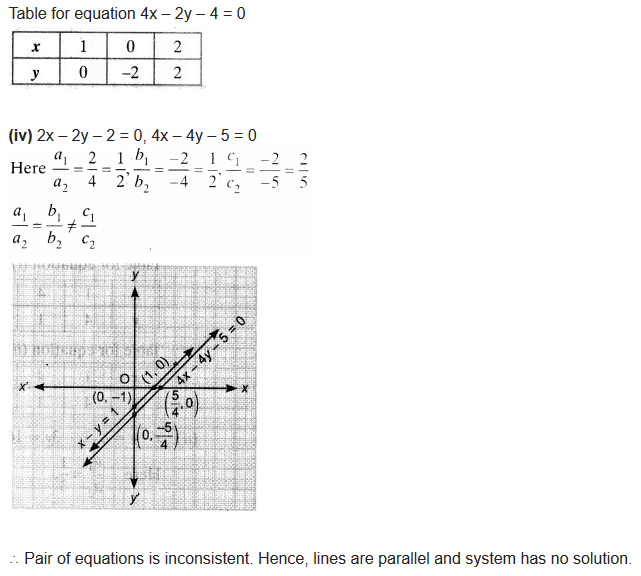 Detailed answers of all the questions in Chapter 3 Maths Class 10 Pair of Linear Equations in Two Variables Exercise 3.2 provided in NCERT TextBook. 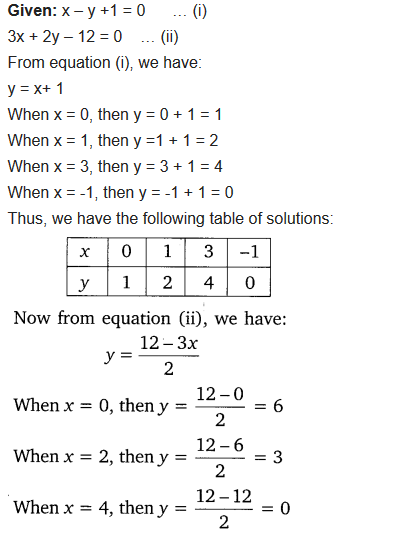 You can also download the free PDF of Ex 3.2 Class 10 Pair of Linear Equations in Two Variables NCERT Solutions or save the solution images and take the print out to keep it handy for your exam preparation. 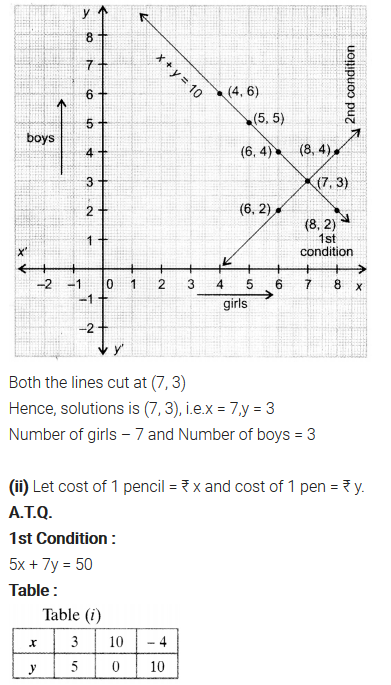 (ii) 5 pencils and 7 pens together cost ₹50, whereas 7 pencils and 5 pens together cost ₹46. 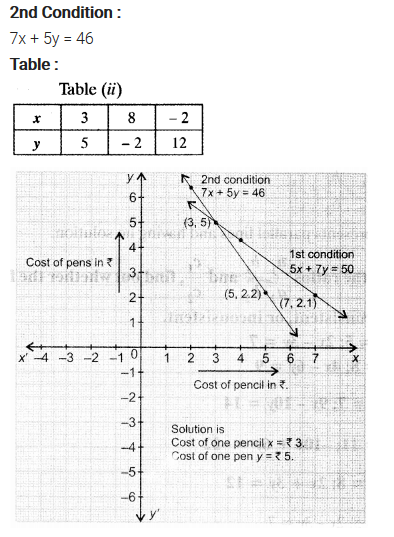 Find the cost of one pencil and that of one pen. 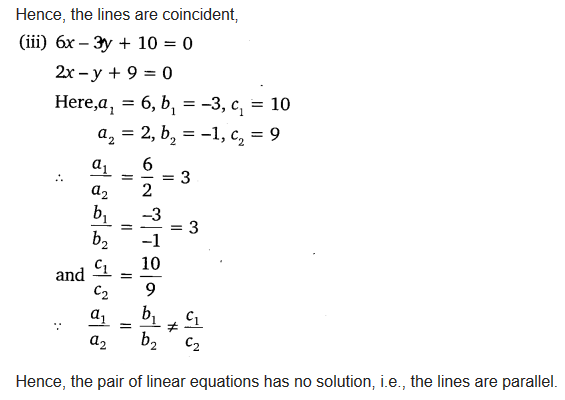 Which of the following pairs of linear equations are consistent/inconsistent? 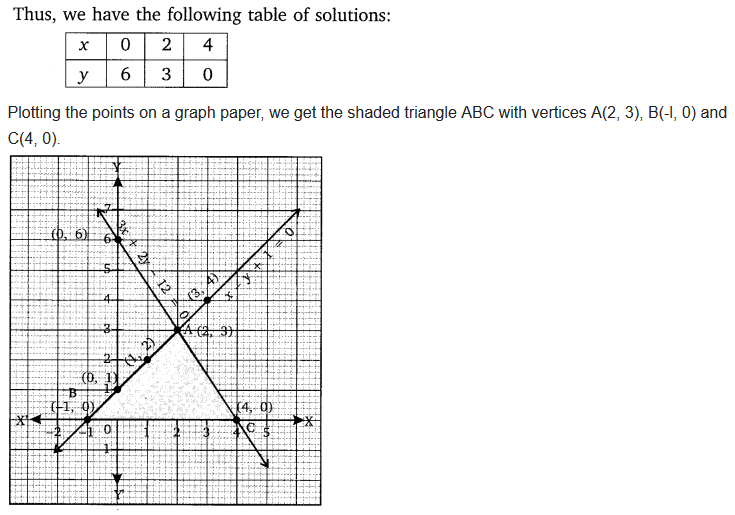 If consistent, obtain the solution graphically. 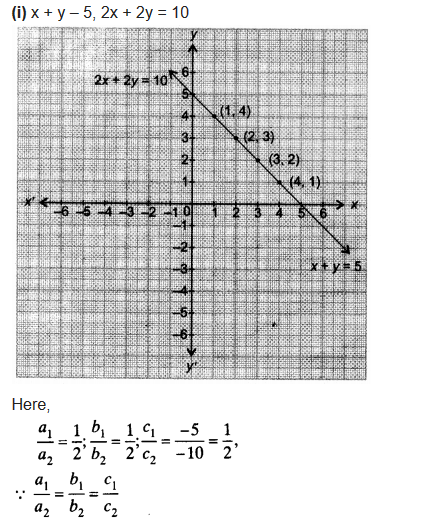 Half the perimeter of a rectangular garden, whose length is 4 m more than its width is 36 m. Find the dimensions of the garden graphically. 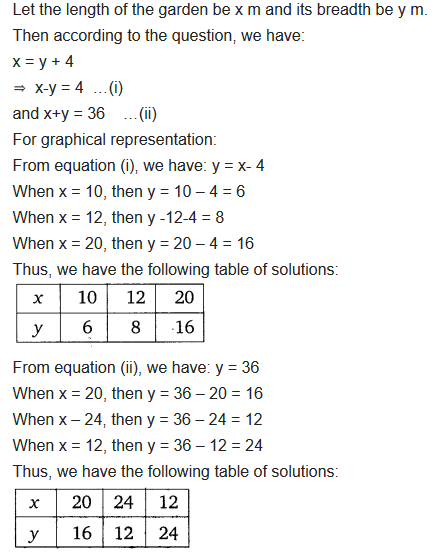 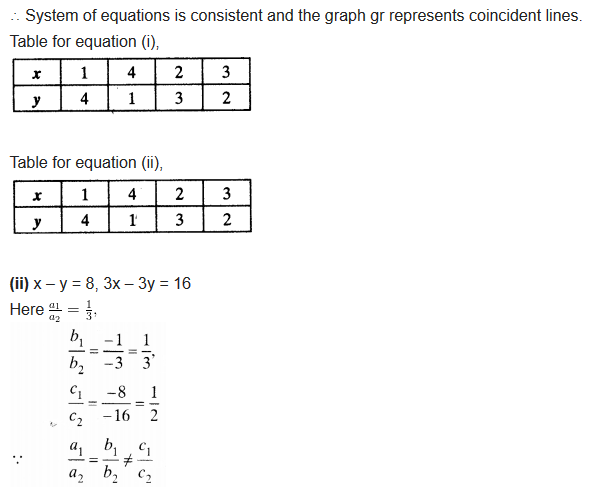 Draw the, graphs of the equations x – y + 1 = 0 and 3x + 2y – 12 = 0. 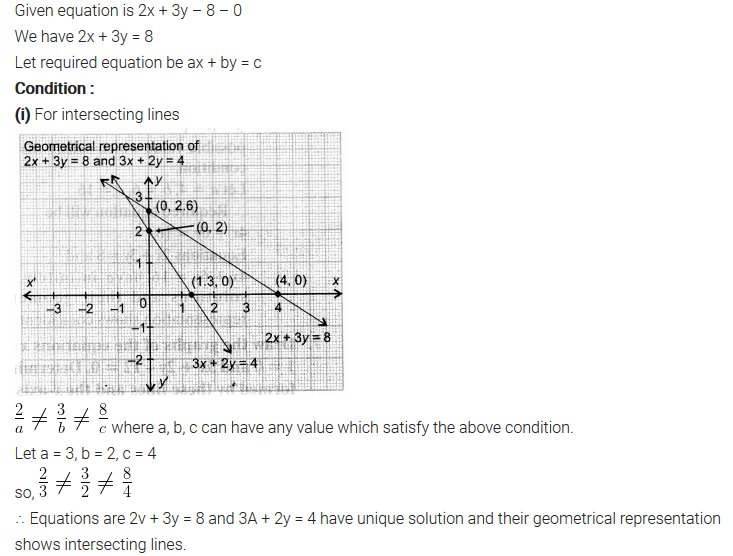 Determine the coordinates of the vertices of the triangle formed by these lines and the x-axis, and shade the triangular region. 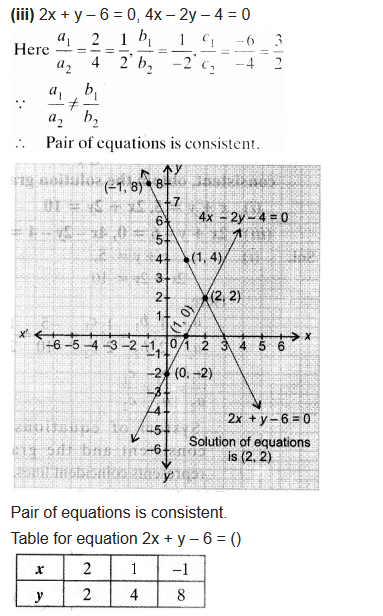 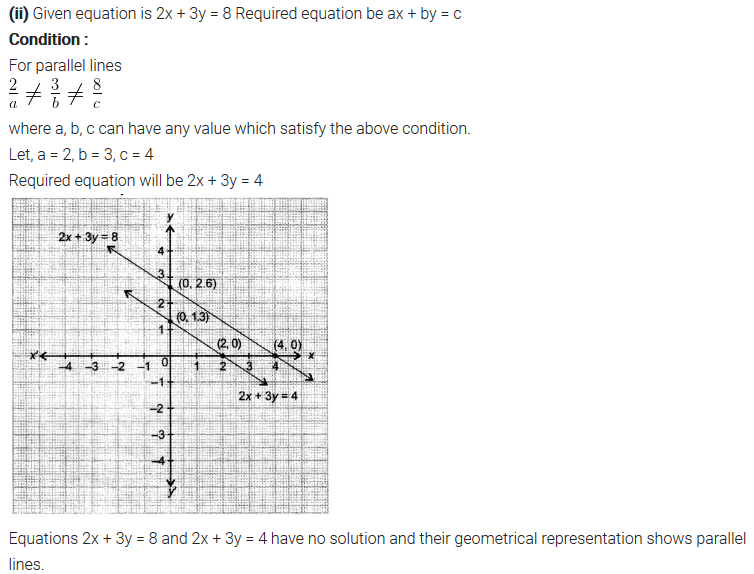 We hope the NCERT Solutions for Class 10 Maths Chapter Pair of Linear Equations in Two Variables Ex 3.2, help you. 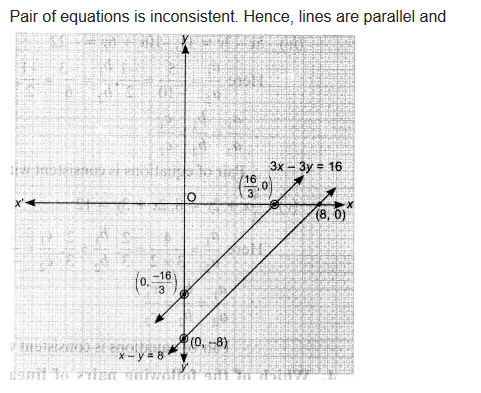 If you have any query regarding NCERT Solutions for Class 10 Maths Chapter 3 Pair of Linear Equations in Two Variables Exercise 3.2, drop a comment below and we will get back to you at the earliest.